Chiang Mai, which was founded in 1296, is the largest city in northern Thailand. It is also the capital of the province by the same name. 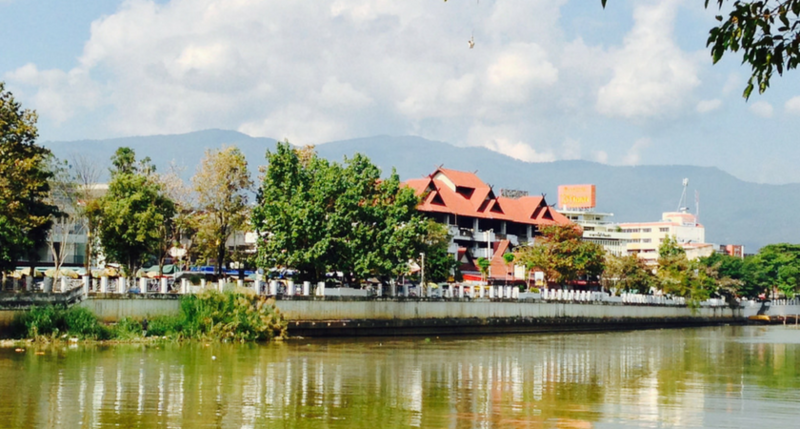 Chiang Mai straddles the Ping River (Maenam Ping), which is one of the main tributaries of the Chao Praya River. The Ping River has historically between a trade route. It originates in the Daen Lao Range at the Myanmar/Thailand border and heads south to the Chao Praya River that flows through Bangkok and empties out into the Gulf of Thailand. The majestic Ping River intersecting Chiang Mai is certainly worth visiting if you have time during your stay in Chiang Mai. A number of tour companies offer cruises that last an hour or two. Travellers can enjoy both cool breezes and the view that includes temples and other examples of Thai architecture. The All Chiang Mai Tours Company also offers lunch or dinner that consists of local specialities. Art in Paradise is actually a few kilometres east of the river, but it’s still a lot of fun. Located next to the Shangri La Hotel in southern Chiang Mai, Art in Paradise is a 3D art gallery that allows visitors to interact with the paintings and seemingly become part of the artwork. They can ride a flying carpet, join Olaf from “Frozen” in a snow globe, or face down a gigantic kitten. There are over 130 illusions spread out over several floors to choose from. Also known as Kad Luang, Warorot Market is located on Chang Moi Road and is within walking distance of the Ping River. It is famous for its massive selection of Thai food, be it snacks, produce or full-blown meals. There is also a large selection of clothing. Most of it is casual wear like shorts or T-shirts. Since most of the clients are locals, the clothes are generally less expensive than those marketed to tourists. Also known as Wat Ket Karam Museum, Uncle Jack’s History Museum is devoted to the Lanna culture that had ruled northern Thailand from the 13th to the 18th centuries. The wooden building housing the museum is itself 580 years old. The museum is particularly famous for its photograph gallery. Other artefacts on display include old farm tools, Buddha images, crockery, coins, wood carvings, household appliances and a gramophone. The museum also offers free Lanna dancing lessons every weekend for children. Fah Lanna Spa offers a variety of massages and beauty treatments that include manicures, body scrubs, and waxing. The massages provided include traditional Thai massage, hot oil massage, Thai herbal ball massage, and aloe vera massage. Fah Lanna Spa also offers “spa and tour combinations” like a hot air balloon ride followed by a visit to the spa or a zip line adventure paired with a session at the spa. Comedara is a restaurant and art gallery set in a house built during the colonial era. The gallery displays works by local artists, and they are for sale. The huge menu offers 170 selections from Thai and Northern cuisines. The menu does include some vegetarian options and guests can also enjoy music performed by local musicians. The Taeng River or Mae Taeng River is a tributary of the Ping River that boasts many rapids, making it popular with white-water rafting enthusiasts. It is north of Chiang Mai and is surrounded by jungle. Many of the tour companies practice ecotourism and pride themselves on their environmental stewardship. The Taeng River boasts grade 3 and grade 4 rapids, making it an exciting river to travel on. 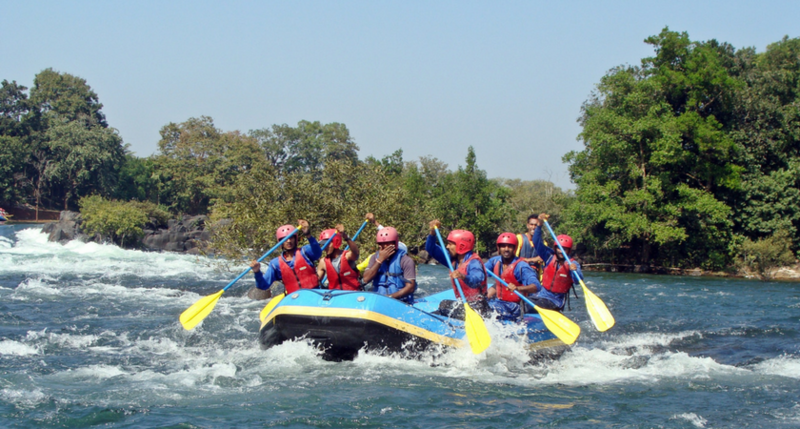 The various white-water rafting companies offer expeditions for all skill levels from novices to veterans. The expeditions can last one day or several days. The guides do speak English, and they explain the safety protocols participants are expected to follow. Since white-water rafting can be physically demanding, participants should be in good health and reasonably physically fit. They also need to be able to swim. Our Chiang Mai Hotel can also arrange White Water Rafting for guests during their stay in Chiang Mai as part of our Chiang Mai Experiences. The Maetaeng Elephant Park was established in 1989. It is located on the banks of the Mae Taeng River about an hour’s drive from Chiang Mai. The park is dedicated to the care and well-being of the Asian elephant; there is even a vet clinic on the premises. The park offers activities like oxcart rides, bamboo rafting, and the Mahout Elephant Experience. The last is a four-hour long package that includes elephant rides, a buffet lunch, and an elephant show. Visitors may also buy artwork painted by the elephants. 8Adventures is a tour company based in Chiang Mai that offers a variety of activities on or around the Taeng River. Said activities include white-water rafting, kayaking, hiking, and zip lining over the jungle. They also offer combination trips that pair two or three adventures like trekking and white-water rafting or trekking, zip lining, and white-water rafting. The various adventures take hours, so participants should plan accordingly. 8Adventures provides food, water, and transportation to and from Chiang Mai. Some of the activities do have age and weight restrictions. 8Adventures also stresses that all participants need to be in reasonably good health. Zipline Chiangmai offers a bird’s eye view of the Taeng River and the surrounding jungle. The tour lasts two hours, and travellers will stop at 31 platforms. The wires can be anywhere from 20 metres to 400 metres long – and the longest one crosses the Taeng River diagonally. The guides speak English and will tell visitors about the natural history of the river and surrounding area. A team of professionals will discreetly follow visitors the whole way in case of mishaps. Like the white-water rafting companies, Zipline Chiangmai does impose age and weight restrictions, and they warn that people who go ziplining need to be in reasonably good shape.